← Packing with these cuties. While I galavanted to North Carolina to pack boxes, play with sweet children and hang out with my sister, Scott did not sit still. He built a fence. I can’t even believe it. I received text updates over the weekend. From those updates, it seems like things progressed quickly. Scott, however, feels like a truck hit him. He had help from Ryan to dig holes, some hired help on Saturday to finish the job, and several meals provided by my mom, but other than that, he was on his own! And if I do say so myself, we have a very good looking fence. 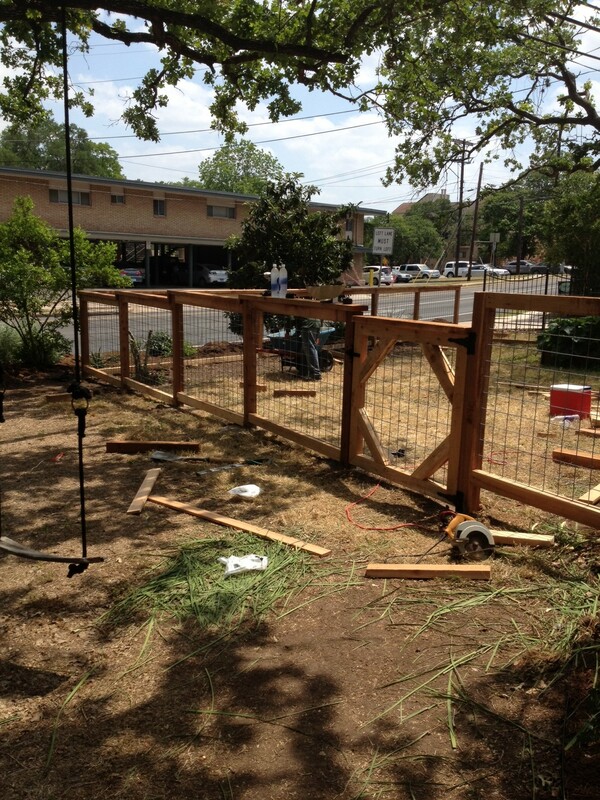 The reason for the fence was a few fold–the side of our corner lot lines a busy street. I wanted a barrier from the dangerous traffic for little people who visit our house. And we also wanted a bit of a barrier from the noise. We plan to fill the flower beds closest to the road and outside our fence with trees and flowers to provide a little bit of a sound barrier and add a little privacy. And after all Scott’s hard work, today is a big day for him. He starts a new job! Instead of being headquartered in Birmingham with lots of travel required, he will now have a half-mile commute. He has not minded the travel with his previous job, but having him home more will be a blessing for us both. Congrats to both of you on Scott’s new job! I know it will be so great to have him home more often!